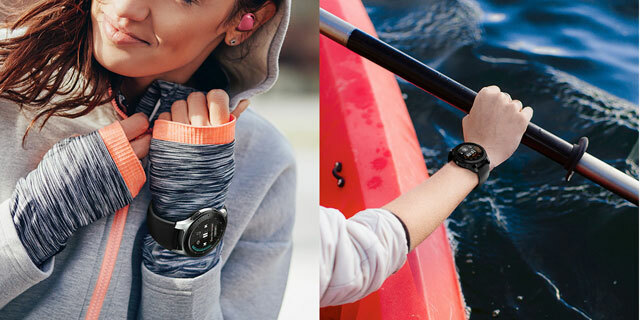 "This watch is everything you need when you're working out or on the go. Record your runs, listen to your favourite Spotify playlists, and get up to 4 days without needing to recharge." 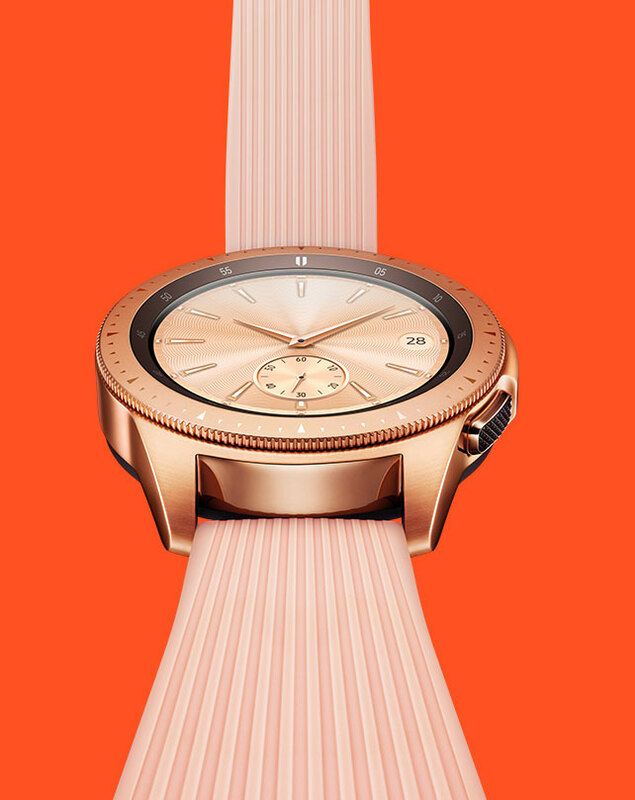 Experience hands-free freedom with the Samsung Galaxy Watch. The Silver 46mm model boasts up to 7 days battery life, while the Rose Gold and Black 42mm models have up to 4 days battery life1, so you're free to take calls and messages on the go2. And you can do it all with your favourite Spotify playlists ready to listen to - just connect your wireless headphones and you're good to go3. 1 Based on light usage. 2 Bluetooth connection to a smartphone or 4G model required. 4G version is subject to e-SIM connectivity. e-SIM sold separately. 3 Download of Spotify app and Spotify Premium subscription required. As individual as you are. Whether Rose Gold, Midnight Black or Silver is your thing, also choose from a range of colours, straps and faces to compliment your wardrobe. Whether worn for work or the weekend, you'll always express your style effortlessly. From work to the weekend, you'll always be able to express your style effortlessly. Cycling, swimming1, squatting or sleeping, you can monitor every step or heart beat with ease. Track your wellness using the built-in GPS and sync everything seamlessly with Samsung Health across all your devices. Smart technology to help you achieve your wellness goals. 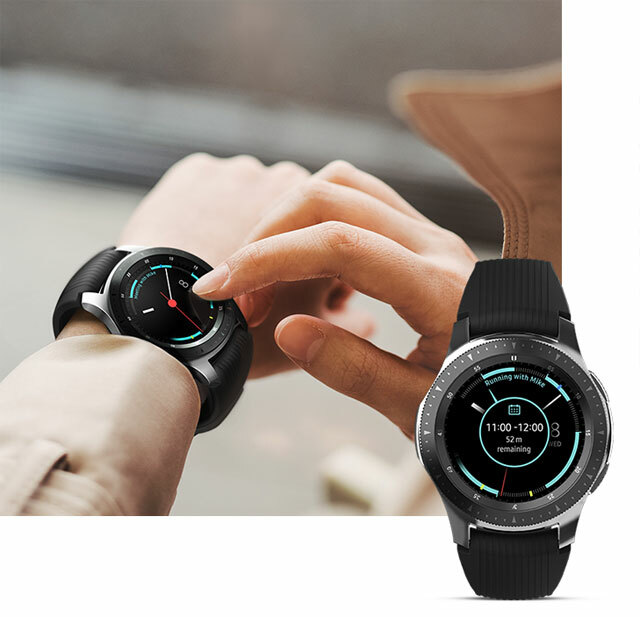 1 The Galaxy Watch has ISO 22810:2010 certification for 5 ATM rating of 50 meters (165 feet) under specific conditions. 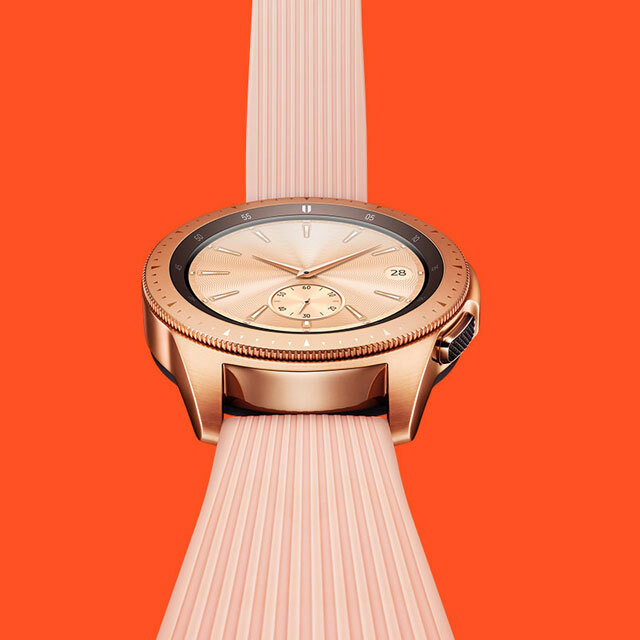 The Galaxy Watch remembers so you don't have to. Know where you've got to be today, tonight and tomorrow. Width daily briefings, you'll never miss a meeting, birthdays or be caught without your umbrella again. Receive intuitive reminders when it matters most, and keep your Galaxy Watch in view on its wireless charging stand. *Bluetooth connection to a smartphone or 4G model required. 4G version is subject to e-SIM connectivity. e-Sim sold separately.